Lidy Wilks on Writing Can You Catch My Flow? Hi everyone! Today, I’m welcoming Lidy Wilks to my blog, to talk about her experiences in creating her poetry anthology Can You Catch My Flow? Keep reading, though, because toward the bottom of the post, there’s a competition with some awesome prizes. Without further ado, here’s Lidy. with my notebooks, I had enough for a collection. But while assembling the manuscript I learned something. It was no different from writing and reading poetry. At first, I wanted to order the manuscript in the time I wrote them. To better exemplify the change of my writing from past to present. For future reference, that should not be done because a single poem is its own narrative. A poem in a poetry collection is one of many narratives. That both stand alone and link with the other poems in the collection. It was during this process of ordering my poems for Can You Catch My Flow? that I had a moment of clarity. This manuscript isn’t just about change in style or technique. I discovered that this short collection truly captured moments of time while growing up. It was a bildungsroman poetry collection. And once I realized that, a new world of possibilities opened up. And it was back to the drawing board, reviewing old poems and writing new ones. Remembering and reconnecting with the angst and fun of being a teenager. Recollecting and reflecting on what it meant to be independent. And thoughts of the future. Ever since she was young, Lidy Wilks was often found completely submerged in the worlds of Dickens, Louisa May Alcott, Sweet Valley High and Nancy Drew. She later went on to earn a Bachelor degree in English with a concentration in Creative Writing, from Franklin Pierce University. Where she spent the next four years knee deep in fiction, poetry and creative non-fiction workshops. Lidy is the author of Can You Catch My Flow? a poetry chapbook and is a member of Write by the Rails. 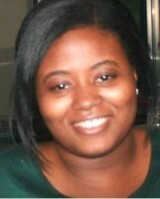 She currently resides in Virginia with her husband and two children. And an anime, book and manga library, she’s looking to expand, one day adding an Asian drama DVD collection. Lidy continues her pursuit in writing more poetry collections and fantasy novels. All the while eating milk chocolate and sipping a glass of Cabernet. Or Riesling wine. 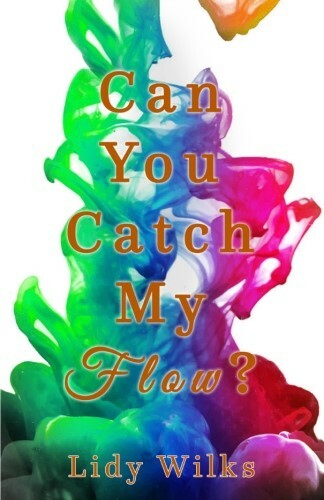 Debut poetry chapbook Can You Catch My Flow? captures the everyday ordinary events of the human condition in poetic snapshots. No matter the walks of life, the reader is sure to find themselves within the lines. Thanks for stopping by, Lidy! Anyone else write poetry? How do you decide which poems to include in your anthologies?